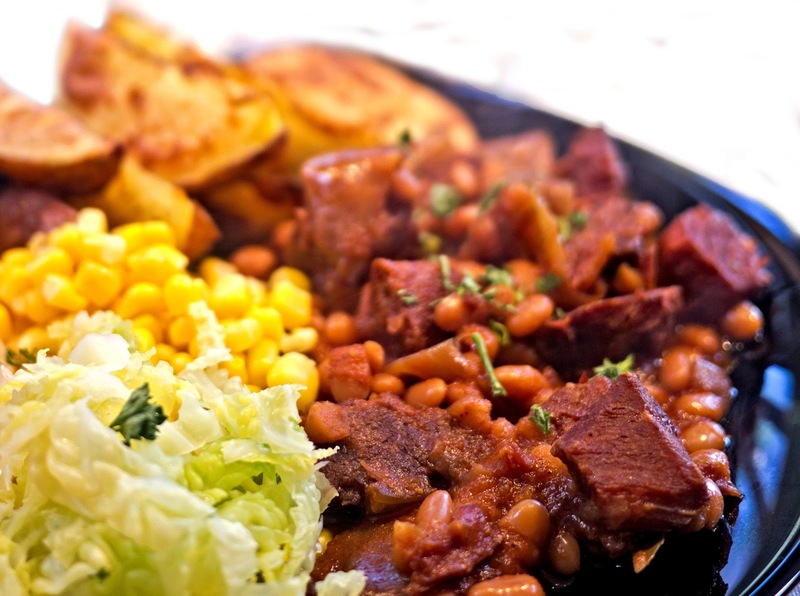 I love Boston baked beans, and this is the best recipe I have made to date. Even my dad said he enjoyed it, which is really quite rare! This version is baked in the slow cooker and the meat will be very well done, falling apart at the touch. If you prefer your meat firmer, just add it half way through the cooking time. Soak the beans for at least eight hours, preferably overnight. Drain, rinse and place half the beans in the bottom of the slow cooker dish. Cut each onion in eight segments and place on top of the beans. 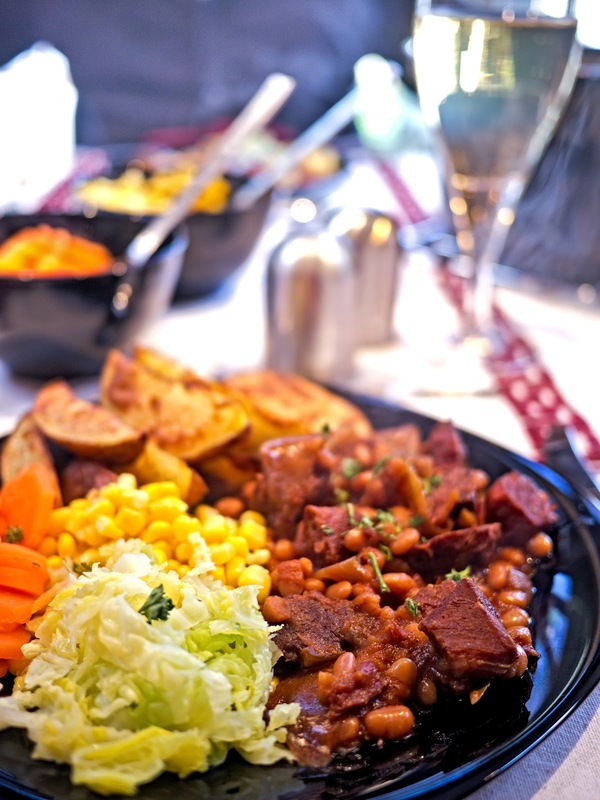 Remove all fat from the gammon and cut in one inch cubes; place in the pot with the beans and onions. Top with the remaining beans. I a separate bowl, mix together the sugars, bay leaf, mustard, tomato purée and stock. Mix well and season with salt and pepper. Pour over the beans and meat, adding more water if necessary to almost cover the beans. Turn on the slow cooker to high and cook for 5-6 hours. Serve with potatoes and vegetables of your choice.